It is during this event that she gets approached by a mysterious man who calls himself Max Conran. Anna finds herself captivated by his charm and slowly becomes drawn into his world. This is despite various warnings from those working at the gallery, including Seb. It is from here that the mystery starts to take hold and we are led down a path of intrigue and deception. Is the elusive “Max Conran” all that he seems and why the special interest in Anna? Is it purely romantic or does he have other plans? And then there is Seb, what are his intentions towards Anna? Does he truly want to help her or does he have a hidden agenda of his own? And so the mystery begins ! I was very excited to read this book. The first thing that drew me to this novel was the cover as I am a fan of mysteries, crime, thrillers etc. The writing style was easy to read and from the first line I was drawn in. The story combines mystery with romance and we know from the start that something doesn’t quite add up where “Max Conran” is concerned. However, despite Anna’s apprehension about the situation, she is determined to get to the bottom of things. Everything about this guy screams trouble !!! From the start he appears to have an unhealthy interest in Anna’s life, stalks her to get a date and demonstrates some bully boy tactics when things don’t go his way. I found her interest in this character to be confusing and failed to relate. I also struggled with Anna’s friendship with Seb. He ignored her for years and is now back in her life and remains as aloof as ever. I did not buy their friendship unfortunately. Seb struck me as a spoilt rich kid type who never grew up. He does redeem himself in parts and I did warm to him in some of his dealings with Anna, but overall I found him to be a cold fish. Despite this, I have to say that I really did like the supporting characters, Alicia and Sally who Anna house shares with. While Alicia might be annoying and pedantic, I felt I understood her. Underneath that hard exterior, she is more vulnerable than she lets on. As much as she likes to stick her beak in peoples business and has a controlling nature, her heart is in the right place. While reading the scenes with Anna and Sally and witnessing their friendship grow, I will admit, I was slightly envious. Sally is fun, energetic, bubbly, selfless, encouraging, supportive and generous. She is everything you could want in a friend. And when it came down to it, she was blatantly honest with Anna and told her exactly what she didn’t want to hear. The sign of a true friend. In fact, their growing bond was so palpable that I wanted to pore myself a glass of wine and pull up a chair with them. The other element of the book that I liked was the mystery itself. 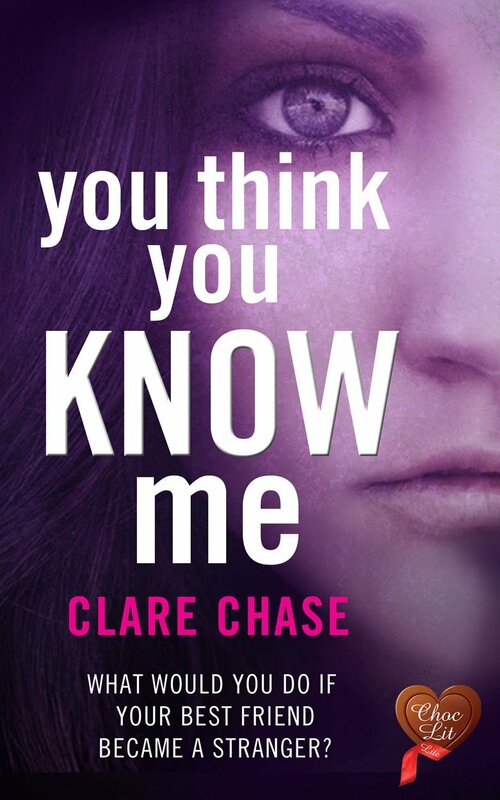 Clare Chase successfully manages to hold your attention for the majority of the story. Just when you think you have it all figured out, something else happens to make you wonder. I must have changed my mind about 3 times during the book about who could be trusted and who couldn’t, only to have my suspicions blown out of the water. I must admit though that at times my attention did wane with all the gallery “shop talk”. The location of the story was definitely a bonus. A lot of books that I read are set in America but this was set in London which was refreshing and made it more relatable for me, being able to imagine the setting. There were also elements of this book that did not appeal to me. As I said already I wasn’t entirely convinced of Anna’s relationships with the male characters in the book. Due to her irrational judgement, I did start to doubt Anna as a character and as much as I wanted to like her, I found her decisions to be downright crazy. I really did wonder if this girl had a of death wish. I feel that I would have liked to have known Anna a little better. I would like to have known her as well as Sally and Alicia. I know what made them tick but do I really know what made Anna tick. Unfortunately not. She had a wall built so high around her, that it made for a wooden if not slightly one dimensional character. I would recommend this book to anyone who has an interest in the art gallery world. It would make for a good sneak peak at the underhand dealings that can go on. Added to that, an interest in mysteries mixed with romance and this could be the book for you. Oh and not forgetting a glass of wine for those scenes with Anna and Sally, so you don’t feel too left out. I would like to say thank you to NetGalley and Choc Lit who gave me a copy of this novel in exchange for an honest review. Aww thank you, that is a lovely thing to say. You have really brightened up my morning with that comment so thanks !! !